On Tuesday, February 16, 2016, upwards of 100 medical institutions celebrated National Solidarity Day for Compassionate Patient Care. Developed in 2011 by the Gold Humanism Honor Society (GHHS) to highlight the nationwide movement promoting provider-patient relationships based on caring, personalization, and mutual respect, National Solidarity Day for Compassionate Patient Care has become a collaborative effort to both promote compassionate, patient-centered care and to recognize and celebrate healthcare professionals who strive to create the Gold Standard in their healthcare practices every day. For a list of 2016 participating institutions click here. Drs. 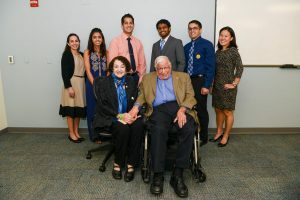 Arnold and Sandra Gold, co-founders of the Gold Foundation, visited the Herbert Wertheim College of Medicine at FIU during Solidarity Day. Many institutions upheld individual traditions that they developed over the past few years while others participated in our Tell Me More® program. Tell Me More® helps medical students learn more about their patients’ lives and share that knowledge with other care providers by crafting signs for display over patients’ beds. 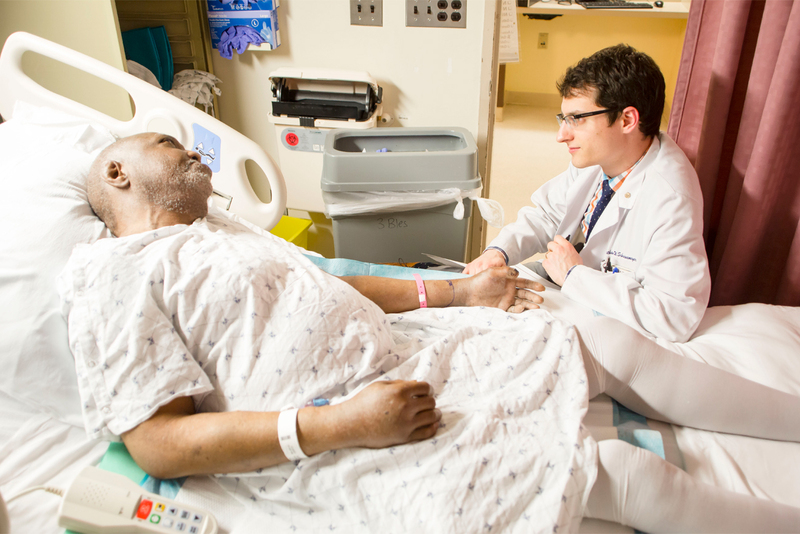 The program began at the Icahn School of Medicine with the goal of empowering patients, caregivers, and hospital staff to connect with each other on a more human level. Tell Me More® expressions are hung bedside in patients’ rooms, displayed in public areas, and are even worn on caregiver and staff badges. They serve as easy conversation starters, promoting a culture of compassion and humanity throughout the hospital. Ultimately this program serves to bridge the information and power gap between healthcare providers and recipients in order to humanize patients, caretakers, and the entire healthcare community. Below you can see a sampling of photos from various institutions across the nation all celebrating National Solidarity Day in their own way. Gold Humanism Honor Society National Solidarity Day for Compassionate Patient Care is supported by generous donations to The Arnold P. Gold Foundation. More information on GHHS and the Gold Foundation can be found here. 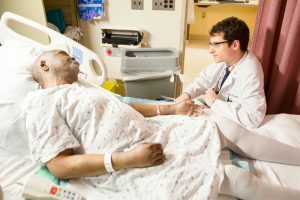 A Gold Humanism Honor Society member from Georgetown University’s School of Medicine engaged in conversation and compassionate patient care. 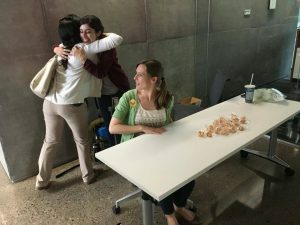 At the University of Arizona, GHHS members handed out customized fortune cookies with encouraging messages for second-year medical students.